LOOKING FOR A GREAT IDEA TO START A BUSINESS? HERE ARE 99 OF THEM! • 99 businesses to launch and what it takes to get started. • The latest trends in personal service businesses such as being a nutrition coach or personal organizer. • Emerging industries such as solar installation, professional blogging and content marketing. 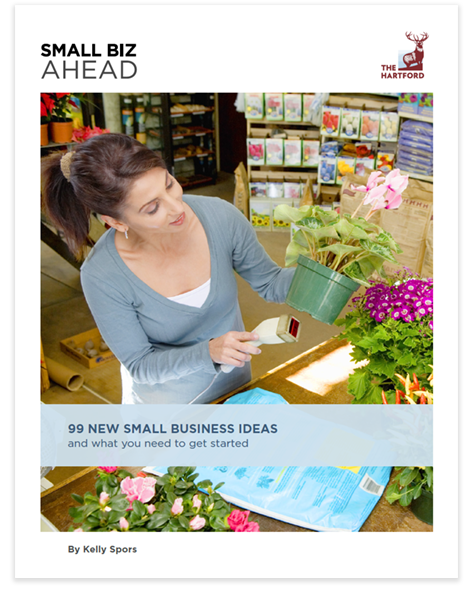 • Great retail businesses to start and the resources you need to do it. • Growing tech industry ideas that could be the next big thing. • Business services that could lead to lucrative freelance work. © 2019 The Hartford. All Rights Reserved.